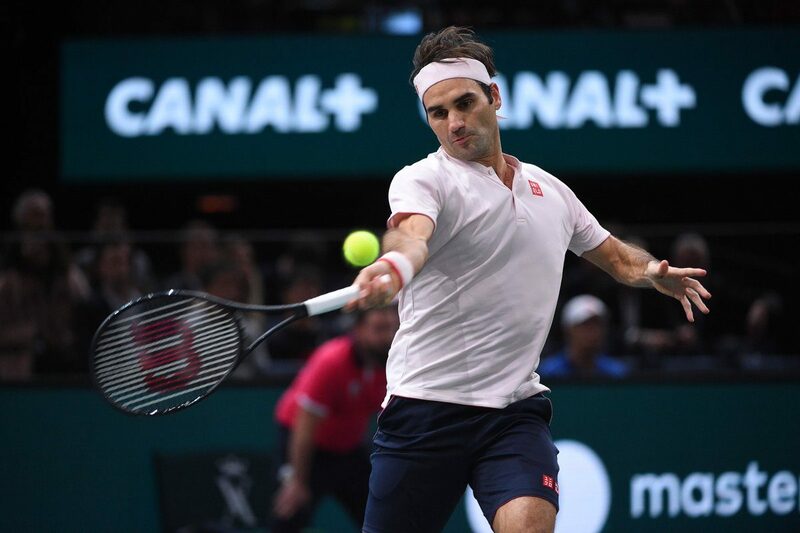 PARIS — Roger Federer and Novak Djokovic advanced to a semifinal showdown at the Paris Masters on Saturday. Federer took out Kei Nishikori, 6-4, 6-4, Friday evening after No. 2 Djokovic earlier beat Marin Cilic 4-6, 6-2, 6-3. Federer broke Nishikori once in each set. Federer, 37, came into Paris after winning his 99th career title at the Swiss Open in his home town of Basil on Sunday. To get a shot at his 100th career title, he will have to beat Djokovic, who holds a 24-22 career advantage on the Swiss. Djokovic has won the last three meetings against Federer, including in the Cincinnati final this summer. Between them, Federer (20) and Djokovic (14) have won 34 Grand Slam singles titles.